Voting on Brexit agreement Uncertain after Warning from House of Commons Chairman. The chairman of the British House of Commons John Bercow again warned the British government about a third vote on the divorce agreement. According to Bercow, the government should not merely launch a third vote on the deal without “substantial” adjustments. Bercow stated in the lower house on Wednesday. “I would like to make it clear that I expect the government to come up with an adjustment to the agreement. They should not try to bypass my ruling (from last Monday, ed.) With another motion,” he suggested. May may still try to organise a third ‘meaningful vote’ this week, despite Bercow’s statement. The lower house has been called to be present on Friday due to a possible vote. Should the vote still take place, it is by no means specific that the government will get a majority. The previous two elections were lost by May, the last one with no less than 149 votes difference. As a matter effect, it does not seem like May has gained enough votes for a majority. The Northern Irish tolerance party DUP and the Brexit hawks of the Conservative Party still seem to be against the agreement. Last Monday, Bercow also informed Prime Minister Theresa May’s government to write a third vote on May’s divorce agreement. May chose not to write another vote. 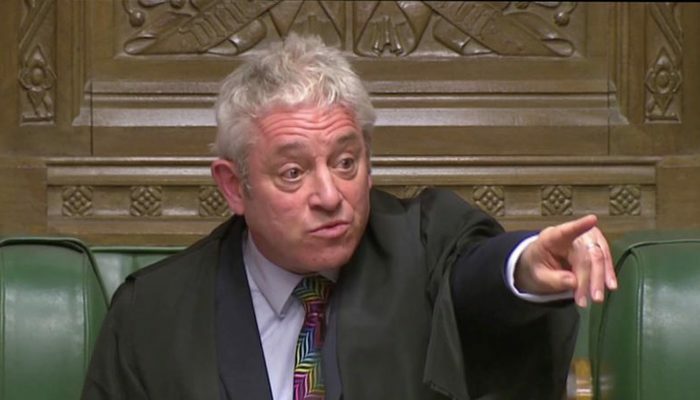 “The government cannot resubmit a proposal that is essentially the same as last week’s proposal, which was rejected by 149 votes,” Bercow then said.